It’s a busy time here are TPL Equestrian. As well as adding some new sponsored riders and product testers to the team we have also welcomed the assistance of photographer Sophie Toole to help make our products come alive on your screen! It’s all about an eye catching image these days, and as a predominantly online business we rely on great images to help catch the eye of our customers. Working together with Sophie and her fantastic eye for detail and lighting we have been thrilled with the results and you may have already seen some of Sophie’s work on our social media pages. Of course great models help too. Including this stunning TB mare Tara above. And of course we are lucky to my sister Hannah below and her pony Bethany. Palomino Bethany is wearing one of our personalised headcollars which can be embroidered with your choice of text. Hannah is wearing our Lola Stretch Jeans and our brand new Lucy Logo Hoodie. Both from the TPL Collection. Of course flat shot images without models are important too, so that our customers can get a good close up of the quality of the item they are about the purchase as well as the quality of our workmanship or embroidery. 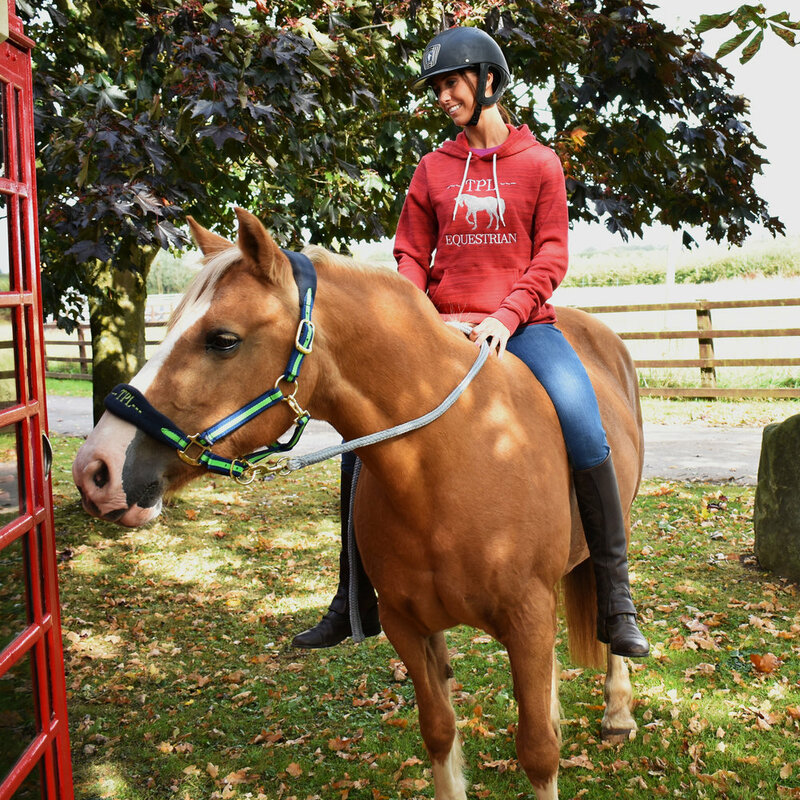 These horse motif jackets are popular within the equestrian world so we need to find a way to make our designs stand out from the crowd, and we believe we can do this by demonstrating their quality using Sophie’s fab photography. We are looking forwards to working with Sophie again soon along with some more exciting new product launches - watch this space!